Bing Search is now LIVE on the web, it replaces Microsoft’s LIVE search. 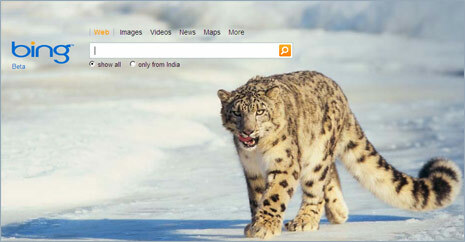 It has blue logo on the background image feature fierce snow leopard (is that a warning for Google? ).